For what it's worth, there are several factors related to NERUDA, the new film about the Chilean poet-turned-political fugitive Pablo Neruda recently shown at the New York Film Festival, that could be considered interesting. Its director, Pablo Larraín (No), has made his mark in Hollywood bringing the stories of notable Chilean figures to the big screen, breaking through Hollywood's narrow-minded gaze and educating American audiences about historical names that don't just consist of Abraham Lincoln and Marilyn Monroe. 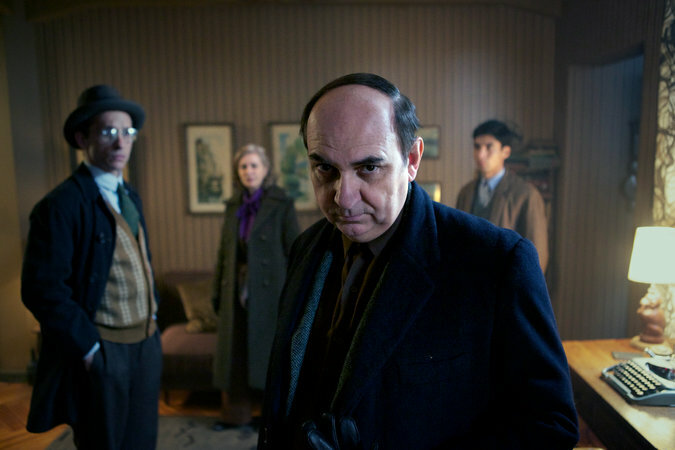 (I'll be the first to admit, I've never heard of Neruda before either watching this movie). And Larraín is also getting tons of buzz for his other festival darling--coincidentally his first American feature-- Jackie, about the elusive Jacqueline Kennedy Onassis. 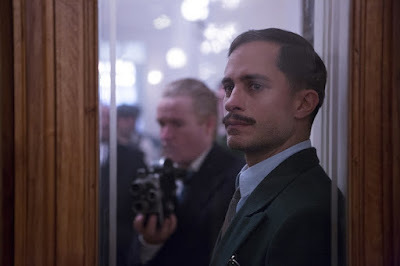 But what is the most intriguing thing about NERUDA is Gael Garcia Bernal, not just because he is the bee's knees 100% of the time, but because his character, Inspector Óscar Peluchonneau who's on a relentless hunt for Neruda, is actually fictional--and he still steals the show. This is a good and bad thing. Good because the significance of his character shifts the film from what could have been another boring political drama (I'm sorry but it took me two days to finish No because I fell asleep, twice), to a sometimes engrossing and very expansive cat-and-mouse film. And bad because the title character in the film, the catalyst for the narrative and the inspiration for the movie, is reduced to an uninteresting supporting character. It's actually disappointing in that regard, since Luis Gnecco who plays Neruda is clearly very committed to the role, infusing subtle moments of comedy and quirk in Neruda's rather dignified flight from Chile due to his steadfast Communist beliefs, especially given the fact that had is also known for his 2008 comedy stint on La Ofis, the Chilean version of the British series, The Office, playing the same role as Ricky Gervais. He's definitely a great character actor, but despite the sometimes colorful of the character he possesses here, he's just not compelling. 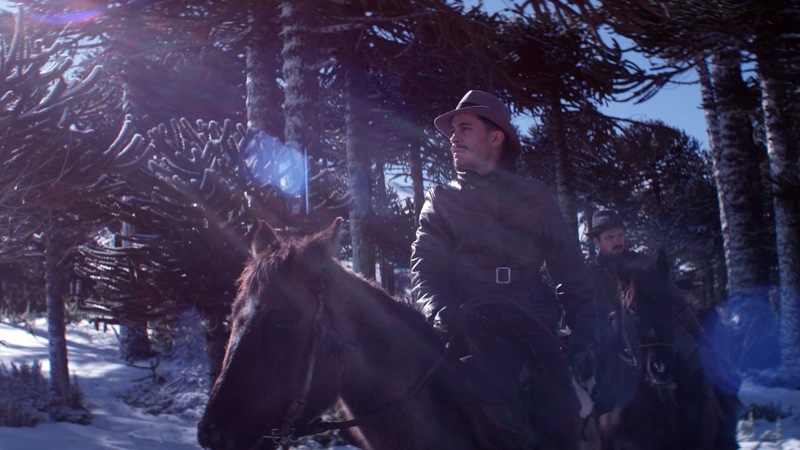 That's partly Guillermo Calderón's script, designed to be more of a vehicle for Bernal, and also because we just don't get close enough to Neruda to really become invested in him. He comes off as a rather cocky artist who just so happens to be a political outlaw, but we don't get much else. Someone on the team here obviously didn't think Neruda's story was enough to sell the film--and apparently they were right. While NERUDA ultimately suffers from the aforementioned issues, Bernal however is excellent. Not only does he embody the arrogance of a member of law enforcement, eager to do whatever it takes to solve a case that would grant him significant notoriety. But he has another more personal motivation aligned with his need for validation, which adds a level of humanity to the film that is sorely lacking otherwise. His portrayal drives the urgency of the narrative, though it doesn't materialize until very late in the film. A welcome note, sure, but it illuminates the film's weakness: a scattering of well-intentioned elements that need to be better organized for a more effortless narrative presentation. And speaking of its presentation, I'd be remiss if I didn't mention the glorious photography in the film (shout out to Sergio Armstrong), with the exception of the woefully shoddy driving scenes in which the background clearly gives away that they're actually filming on a sound stage. But, so many of the scenes is like right out of an oil painting --luscious and immersive. Too bad the rest of the film isn't always so mesmerizing.